The most recent installment in Karl Lagerfeld’s sweeping vision for Chanel’s Resort 2017 collection shifted the fashion world’s gaze away from traditional fashion hubs in Europe and New York and towards Havana, Cuba. Guests (front row attendees included supermodel and muse to Lagerfeld, Gisele, pictured below) were shepherded into the heart of Old Havana in the backseats of colorful vintage convertibles, which also served as a reoccurring motif throughout Lagerfeld's color-shocked collection. The venue itself encompassed the expansive El Paseo Del Prado boulevard, softly-lit and lined on either side by street lamps and leafy trees, with the 600-some guests in attendance watching from the surrounding park benches. A live band accompanied the seemingly endless selection of looks that cascaded down the runway, with Chanel favorites like Stella Tennant, Lindsey Wixson and Lineisy Montero joined by a cast of local models. The collection ranged from the brand's signature two-piece tweed ensembles to kaleidoscopic prints featuring 1950s style convertible cars, pastel mini dresses and beach-ready slips accessorized with strands of pearls and straw-brimmed fedoras. 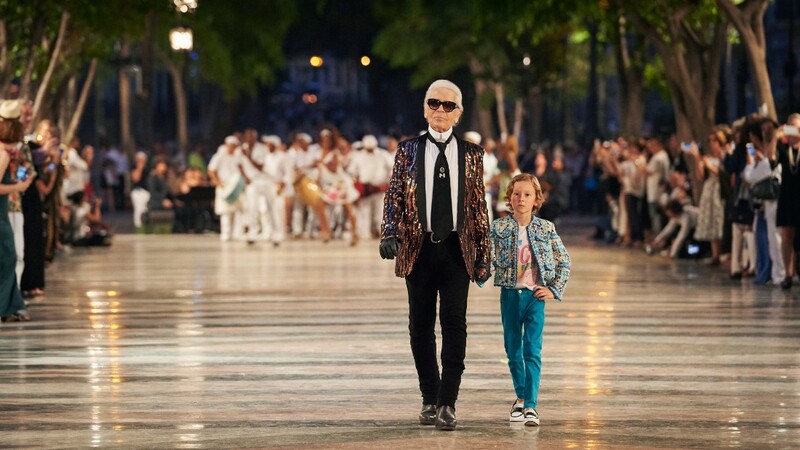 Lagerfeld surely found inspiration in Havana's colorful, Spanish architecture, rich Afro-Cuban music scene and the tropical, Caribbean climate. 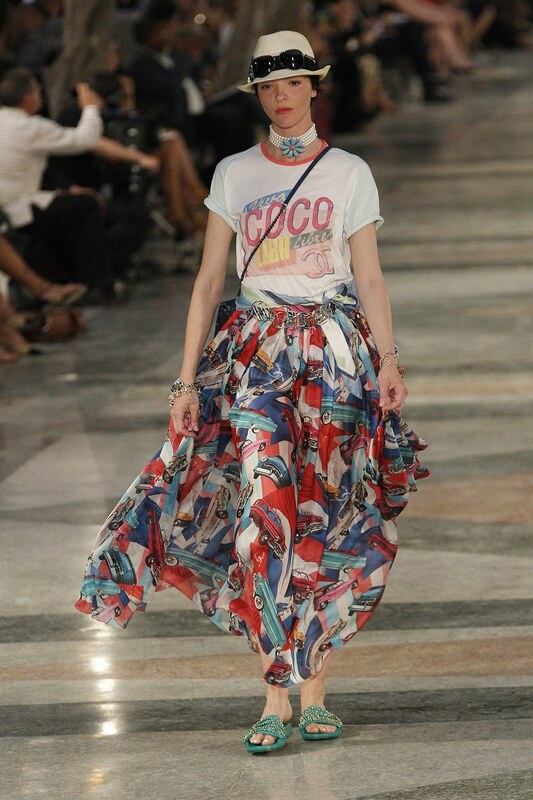 A variety of prints and colors appeared again and again throughout the resort collection, imbuing the atmosphere with a sense of excitement and novelty fitting for this new chapter in Cuban-American political and cultural relations. May 20 Sephora's New Subscription Box: Play!